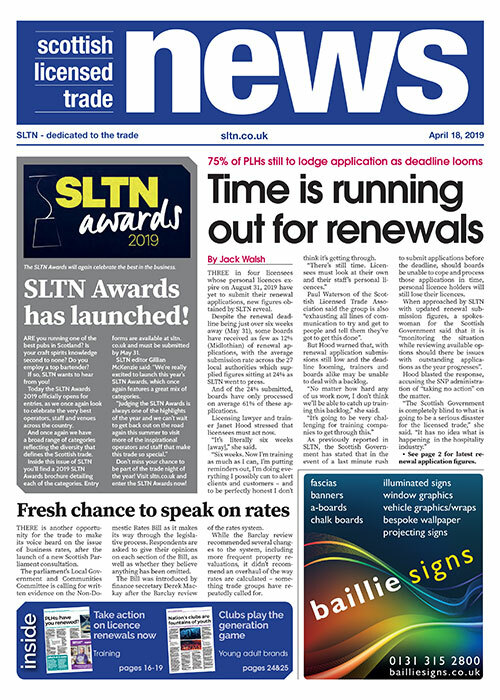 SLTN readers have been urged to contact their MSPs to request immediate action on personal licence renewals in order to avoid a “monumental disaster” for the licensed trade. Thousands of personal licences issued in 2009 are due to expire on September 1, 2019. The ‘window’ for renewing those licences opens on August 31 this year and will close on May 31, 2019, but the Scottish Government is yet to confirm what the renewal requirements will be. Licensing lawyer Janet Hood has developed a form letter (available on sltn.co.uk) for readers to use to contact their MSP. The letter urges action on several points: to confirm that the appropriate training should be the Scottish Certificate for Personal Licence Holders (Refresher), with the exam based only on course content taught on the day; an amendment to licensing legislation which would ensure personal licences continue after September 1, 2019, when applications have been made on time; for the Scottish Government to permit the deemed grant of applications to timeous applicants; for the Scottish Government to delay until after September 1, 2019, the introduction of new licensing regulations that would compel boards to consider previously ‘spent’ offences when assessing whether an applicant is ‘fit and proper’ to hold a licence; and to set a fee for a new licence of £50. 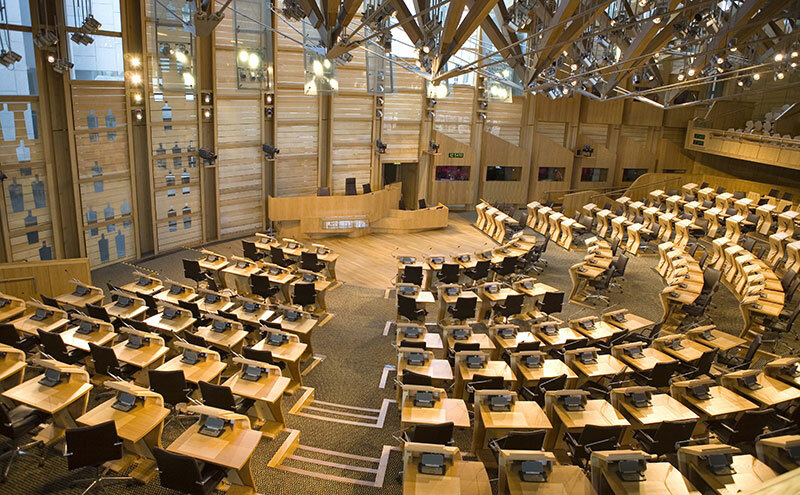 Hood said: “I would advise every member of the licensed trade to write to their MSPs to say this is a matter of serious urgency. “This is a disaster waiting to happen and the Scottish Government has said they are unlikely to be able to advise on the way ahead until at least autumn of this year. The urgency of the situation was reinforced by training provider Joanne Worrall of Twist Training, who said it is “imperative that the Scottish Government takes action now”. “We had a very long lead-in time with the Act back in 2009 and it still caused no end of problems. Licensing lawyer Archie MacIver, of Brunton Miller, agreed. And Jack Cummins of Hill Brown Licensing said Holyrood “absolutely must take steps to ensure that personal licences remain current until a decision is taken on renewal applications – or we’re heading for a monumental disaster”. It is anticipated that approximately 40,000 personal licences will require to be renewed by August 31, 2019. The last date for making applications for renewal is May 31, 2019; the timing is set out in the Licensing (Scotland) Act 2005 section 78. If the Scottish Government fails to get this resolved on time we are looking at a second meltdown for the licensed trade. No-one can move forward at present, no training can be undertaken to prevent a last minute rush as the Scottish Government has failed to advise what it requires to be done despite this matter having been raised with the appropriate department for over two years. The Scottish Government has indicated it may be in a position to issue advice and clarify the position by autumn this year. In my opinion this is too late to try to get 40,000 people through the renewal process. This has been made clear to the Scottish Government which feels it may not be able to speed this up. It would be of benefit if everyone responded and individual business and companies responded as well to ensure the Scottish Government is aware this is a trade wide issue. For the Scottish Government to set a fee for a new licence of £50.